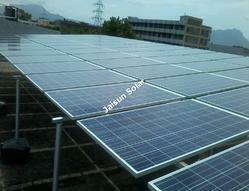 Our product range includes a wide range of solar rooftop power plant. The Solar Power Plant made available by us in the market, is widely praised for its superior performance and longer service life. Making of this range done in compliance with the set industry norms and guidelines, its standard of quality never deteriorates. In addition to this, the offered range is known to be marked at the most reasonable rate possible.